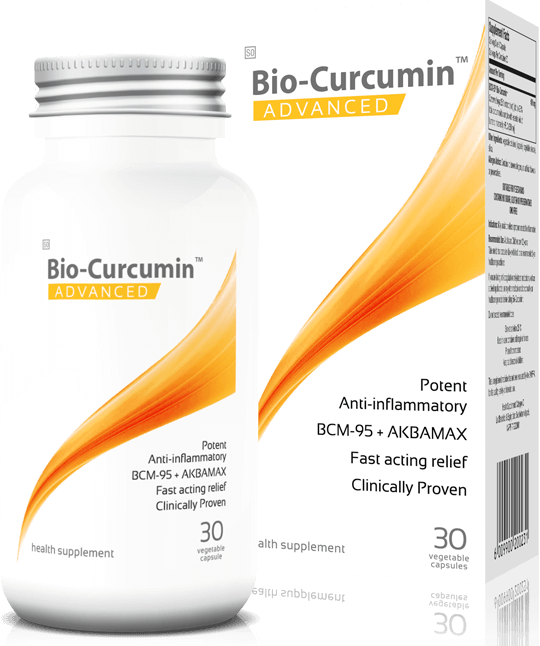 BCM-95® has been proven to deliver up to seven times more free and bioactive curcumin into the blood stream than regular curcumin extracts which remains active for over eight hours. Bio-curcumin is the most studied curcumin extract available today, trusted and recommended by health practitioners and used by millions of people across the world. AKBAMAX ® has been developed to deliver a clinically precise ratio of boswellic acids which have been shown to effectively reduce inflammation. 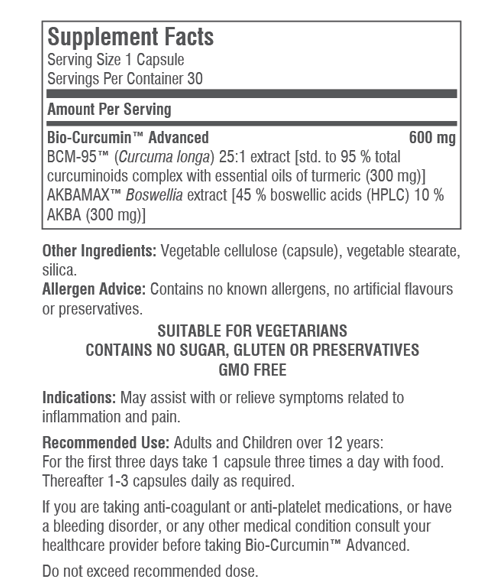 Delivers up to 7 x more bioactive/free curcumin into the blood stream. Due to curcumin stimulating the gallbladder those with gallstones may experience discomfort due to contractions of the gall bladder. Those on blood thinners such as warfarin should consult their prescriber before starting curcumin, monitoring is recommended.